Come to me, i’ll heal you, Guru Maharaji tells Buhari – Royal Times of Nigeria. 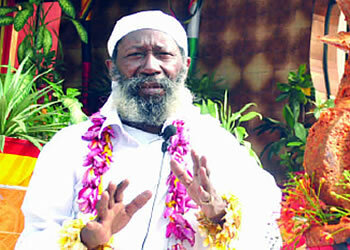 Founder of One Love Family, Sat Guru Maharaji has called on President Muhammadu Buhari to consult him for healing. Maharaji said this on Monday while addressing journalists during the 30th year anniversary of the Maharaji Village in Ibadan. Mahara Ji said; “He is supposed to seek help from black men and not white men in London,”. “Remember the last time he was going out of the country for medical attention, I was the only one who said he would come back safe. What I’m saying is that let’s harness our power here to save ourselves.